The bestselling beginners’ deck includes a full set of 78 tarot cards with a 64-page full-colour instruction book with card meanings and eight layouts to try. Also included is how to give a timescale to a reading, and interpreting the ‘people’ or Court cards of the minor arcana. Armed with the knowledge in the book, you can use these inspiring cards to solve problems, identify opportunities, and ultimately divine the future. 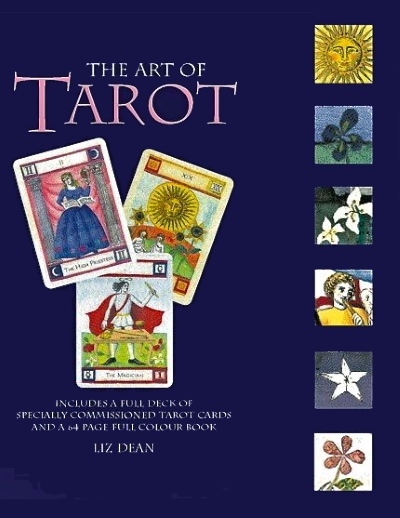 The Art of Tarot featured prominently in an episode of Coronation Street, the UK’s favourite TV drama. Characters Roy and Hailey consult a psychic in Blackpool – who uses our cards to tell Hailey she must follow her dream.